All material on ‘OKNOTOK’ is newly remastered from the original analogue tapes. ‘OK Computer’ was originally released on various dates ranging from May to July 1997. Produced by the band and Nigel Godrich, the album features the singles “Paranoid Android,” “Karma Police,” “Lucky” and “No Surprises,” and is widely cited as one of the greatest works of Radiohead’s - or any artist’s - catalogue. 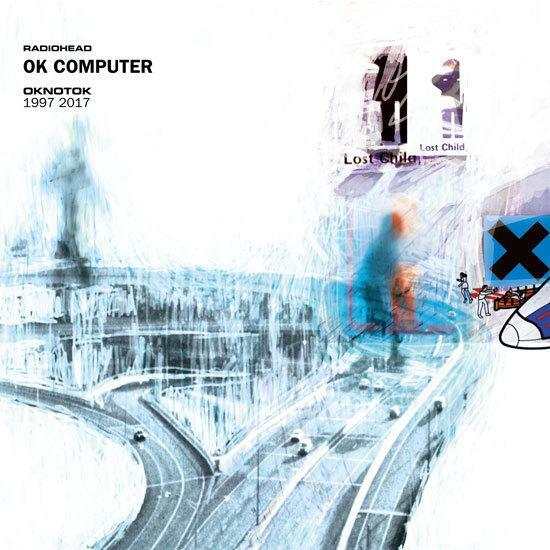 ‘OK Computer’ was the first Radiohead record to reach #1 in the UK and to be nominated for the Album of the Year Grammy. A triple-sleeve gatefold holding three 180gm black 12" vinyl records containing the original twelve track album, three unreleased tracks and eight B-sides, all newly remastered from the original analogue tapes. The sleeve includes a download card for a 320k MP3 or 16-bit WAV download of the 23 track album.